It’s nowhere near as far along as the wingy things, but it’s also about the size of a Hot Wheels car, so it won’t take too long to knock out. Whatever the case, by the end of January I’ll be looking at a wide open bench for the first time in months. So obviously the question turns to…what to build next? Among my three main scales/genres, I’m all across the spectrum. With armor, I know exactly what I’m going to tackle. With props and jets, I’m far less settled. Armor is where my mind is made up. 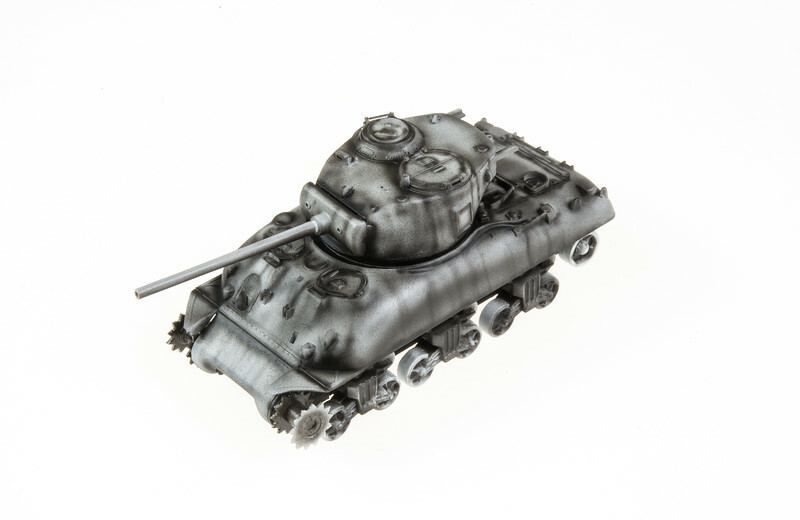 I’ll be taking on a double dose of Leopards – Meng’s Leopard 1A3/4 and Takom’s Leopard 1A5/C2. The Meng will be built as your standard late Cold War, West German, NATO-camoflage-wearing Leopard. Fancied up with what looks like a great Voyager upgrade set. The Takom kit, meanwhile, will be built as a Canadian Leopard C2. Interesting fun fact is that the Canadian C2s were a marriage of a C1 chassis and C2 turret. Usually they were painted an overall olive green, but there are instances where the green turret was placed onto a chassis still wearing the old three-tone camoflage. That’s exactly what I’ll be doing, opening up some good visual interest and diverging weathering opportunities. 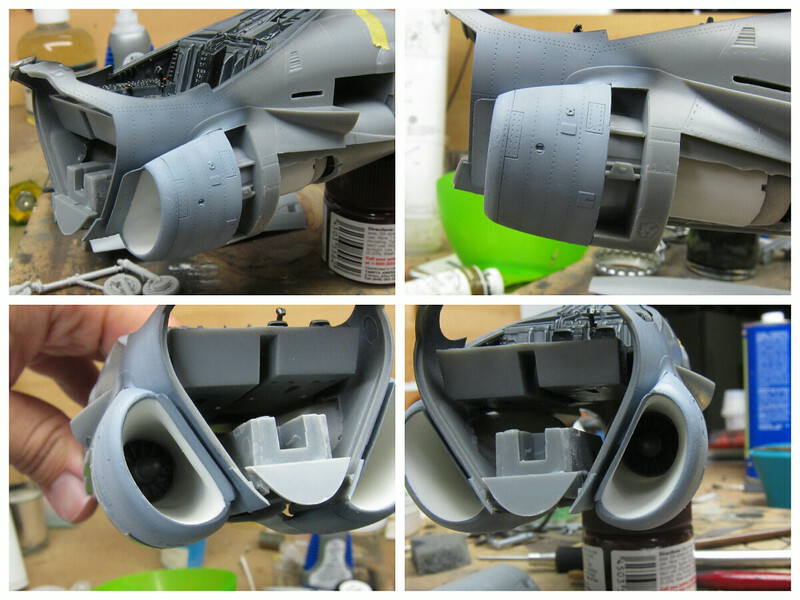 2014 was the year I finally built some jets – Trumpeter’s MiG-21F-13 (LINK) and Hasegawa’s A-4F Skyhawk (LINK). I want to build on that in 2015…but jets remain a tricky subject for me. Part of it is that I just don’t have the muscle memory the way I do for props. And part of it is dealing with those @#^#$!@! intakes. The question isn’t whether I want to continue building jets – but how. Part of me wants to get back to the Hobby Boss A-6E Intruder I had to set aside during the summer. It’s a fine kit, but other builds and the trickiness of the IP shroud-and-windscreen fit have kept me away from it. Do I really want to go back to it, or put something else on the bench first? Something simpler? 1/32 Props – How Ambitious? The question with 1/32 isn’t what I want to build next, but how in the hell I’m supposed to just land on one. Right now, I’ve got three pretty awesome kits all vying for my attention after the Corsair clears the bench – Tamiya’s F4U-1A Corsair (strike while the iron’s hot), Kitty Hawk’s new OV-10D Bronco, and Wingnut Wings’ Felixstowe F.2a, which looks like a rather arduous project. Honestly, any of them would make an awesome project. And I may choose one, or may go with something else entirely. At this point I can’t say. What I can say is that 2015 is looking to be an awesome year for building. What do you have on deck for the coming year? Previous Post Should Tamiya Do a 1/32 Bf 109G? Whatever you decide to build Matt, only you can make that decision, forget the polls. Ive found you never really invest yourself in a build that has been picked for you. A Merry and Safe Xmas to you and your family. Are you going to do a rundown on 2014? A rundown is coming. Have a feeling I can get one more off the bench before the year’s out, so I’m trying to hold the post a few more days. Those tanks are gonna look awesome Matt. I have the Voyager set for my Merkava and although I haven’t started it yet the set looks great. So for 2015 I plan to start with the Merkava 4..then a 1/32 Stuka and finally the Revell AR 196..as you said ..it’s gonna be a great year but once I get these done I’m not sure which way to go. I really would like to see the Bronco done but whatever you decide is great! Awesome site and incredible work. Trying to learn from you on all these builds. The Bronco looks like sn awesome build! Same with the corsair! I also think you should consider doing a float plane of some kind. I think you coulddo an amazing job with one and give it a great water display also. Under the Christmas tree right now, (I hope!) is the Airifx Gloster Javelin, the box looks huge and that’s going to keep me busy for a few months. Finishing off Special Hobby’s 1/72 scale Hunting Percival Pembroke in Luftwaffe markings and Tamiy’s 1/48th Gloster Meteor. Would love to see you do that Lightening.